Whether they are slow slab avalanches or hurtling powder avalanches, these powerful snow slides can be extremely destructive and it can take as little as a weak snow layer to cause them. Avalanches are ferocious snow slides. Avalanches occur when weak layers of snow slide over each other. Powder avalanches gain in size and momentum as they race down dry slopes. 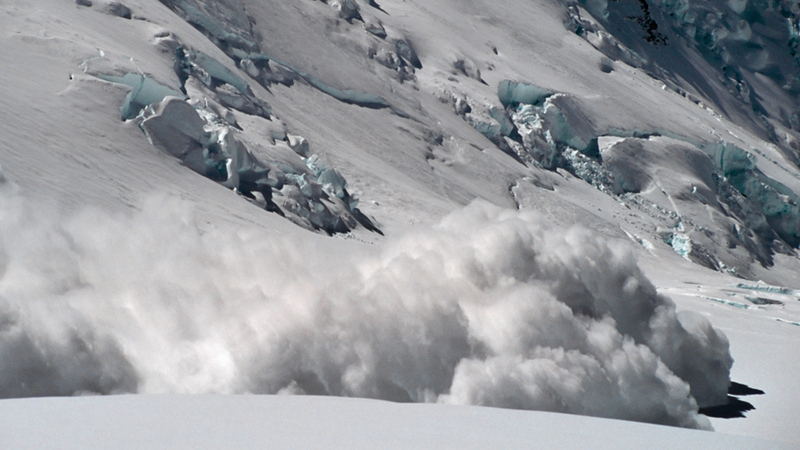 90% of avalanches are triggered by human activity, such as skiing and snowboarding. Avalanches kill more than 150 people worldwide each year. Extreme snowfall in mountainous areas, means an avalanche could be waiting to happen. Overhangs of snow can collapse under their own weight, or weak layers in the show can fracture.